FDA Recall: Darwin’s Natural Dog Food Tests Positive For Salmonella – Animal Lovers Unite! On March 26, 2019, the U.S. Food and Drug Administration released a warning cautioning pet owners to not feed their animals 3 lots of Darwin’s Natural Pet Products raw dog food due to them testing positive for Salmonella. The Darwin’s foods affected are sold online, direct to consumers. The FDA states the codes for each product affected are listed in the second group of numbers found just below the barcode on the package. These products are manufactured by Arrow Reliance Inc., doing business as Darwin’s Natural Pet Products. 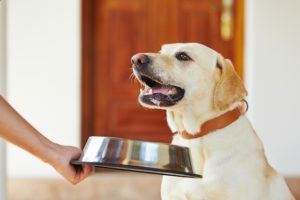 Earlier in March 2019, the FDA requested lots of Darwin’s raw dog food in response to a customer complaint. All 3 lots requested tested positive for levels of Salmonella that represent a serious threat to human and animal health. Although the affected lots are dated late in 2018, the FDA stated there concern was due to the fact that these products are sold and stored frozen, so some people may still be in possession of the Salmonella tainted foods. 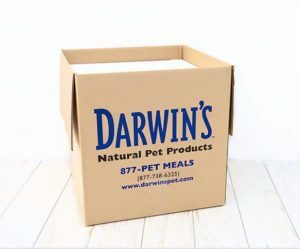 If you feed your pup Darwin’s Natural Pet Products, stop immediately until you’ve had a chance to check the lot numbers. If you have any of the affected food, here are some steps to follow to help ensure the safety of you and your pup. 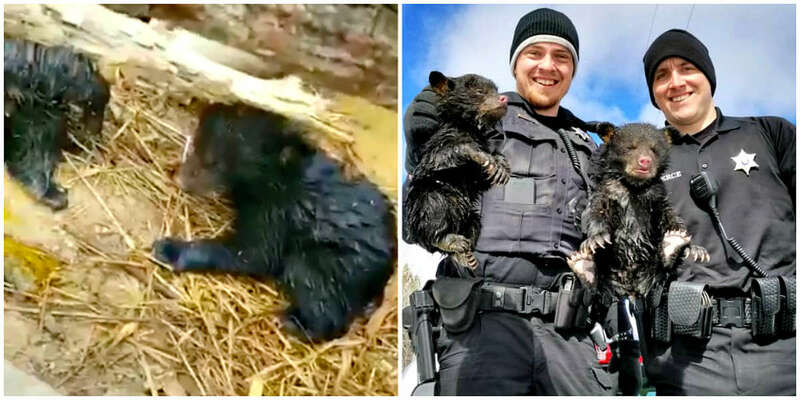 Dispose of it so that no other animals, including wildlife, can eat it. Thoroughly clean any refrigerator or freezer where food was stored. Clean and properly disinfect all dog food and water bowls. In addition, clean and disinfect all food prep areas, toys, dog bedding, floors and any areas that the food or your pup may have come in contact with. Thoroughly wash your hands after all handling of Darwin’s food products and possibly affected surfaces. 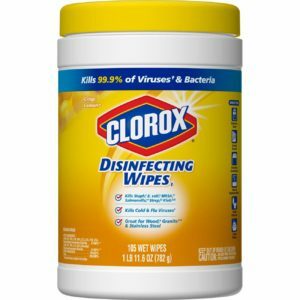 For all surface cleaning, use a disinfecting wipe rated to kill bacteria, such as Salmonella, like Clorox Disinfecting Wipes. In the U.S. if you have concerns about your dog’s health and would like to file a complaint about FDA-regulated pet food products, contact the consumer complaint coordinator in your area or visit the FDA pet food complaints site. In Canada, reports for any health or safety incidents related to the use of this product by filling out the Consumer Product Incident Report Form. Darwin’s Natural Pet Products is no stranger to recalls. They have had recalls in December 2017, February 2018 and March 2018. With this latest recall, this is a troubling pattern. All previous recalls involved Salmonella, as well as other bacteria. Full details of the previous recalls can be found at Petful.com. According to petMD.com, “Salmonellosis is an infection found in dogs caused by the Salmonella bacterium.” Making this even more concerning, Salmonellosis is zoonotic, which means it can be transmitted to humans. The good news is Salmonellosis is rarely fatal. The very young or old, and infirm are at most risk. If you suspect Salmonellosis in your pup, consult your veterinarian immediately. For further information, please contact Darwin’s Natural Pet Products at 1-877-738-6325 or 1-206-324-7387 Monday-Friday during the hours of 6am-6pm PST and Saturdays from 7am-3pm pST. Or email info@darwinspet.com. 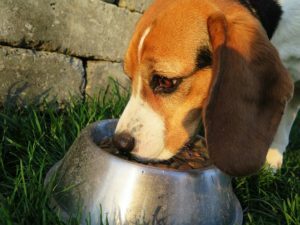 The post FDA Recall: Darwin’s Natural Dog Food Tests Positive For Salmonella appeared first on iHeartDogs.com.